By looking at images and data taken by the Lunar Reconnaissance Orbiter, a team of scientists, including Watters, a planetary scientist in the Center for Earth and Planetary Studies at the National Air and Space Museum, were able to examine geological features on the moon called lobate scarps—thrust faults that occur primarily in the lunar highlands. These scarps are the result of the interior of the moon slowly cooling, and as it does so, it shrinks causing its surface area to crack and buckle. “One of the remarkable aspects of the lunar scarps is their apparent young age,” said Watters. “Relatively young, globally distributed thrust faults show recent contraction of the whole moon, likely due to cooling of the lunar interior. The amount of contraction is estimated to be about 100 meters in the recent past. 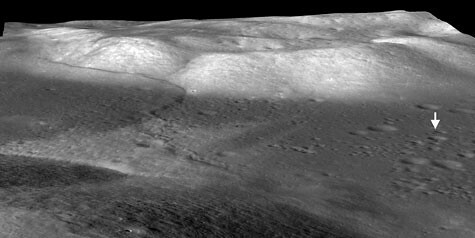 The moon’s lobate scarps were first recognized in photographs taken near the moon’s equator by the panoramic cameras flown on the Apollo 15, 16 and 17 missions. Fourteen previously unknown lobate scarps have now been revealed in very high resolution images taken by the Lunar Reconnaissance Orbiter Camera. 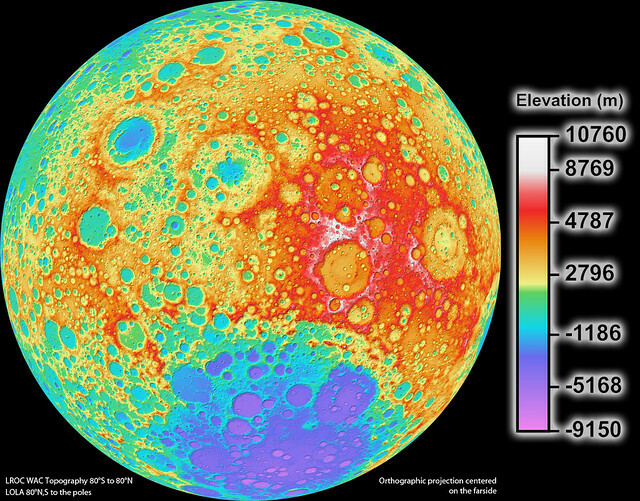 The newly detected scarps indicate that the thrust faults are globally distributed and not clustered near the moon’s equator. 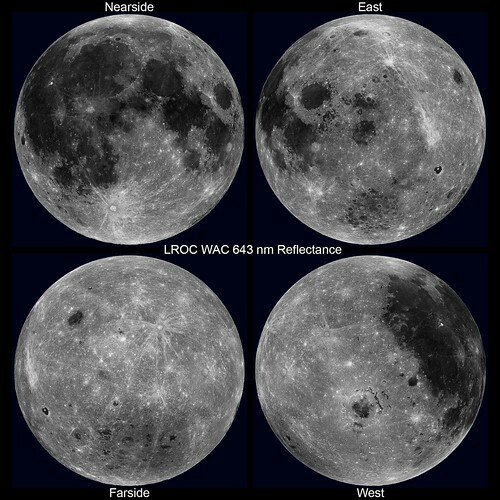 Because the size change is relatively small, however, Watters said that there would be no effect on lunar cycles, tides, etc. It would take millions of years for there to be a perceivable difference in the size of the moon to the naked eye. But this discovery does help change the commonly held belief that the moon is just a dead rock, showing that it is still active and dynamic. Apollo 17 images are some of those Moon prints featured by BigBangPrints.com, and you can get some LROC love here. 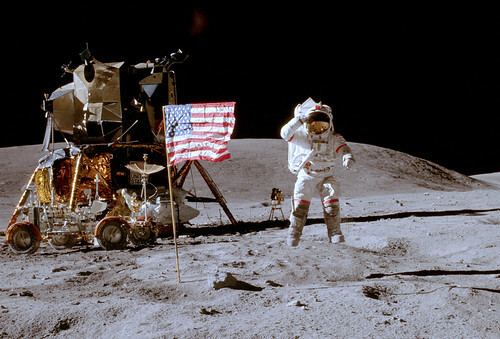 Sorry, Euro-hipster communists: the moon landings weren’t faked by the U.S. government. The folks behind the Lunar Reconnaissance Orbiter Camera (LROC) recently released images showing the Apollo landings’ flags were still standing, except for Apollo 11. Buzz Aldrin said they knocked it down as they left the Moon’s surface. From the LROC images it is now certain that the American flags are still standing and casting shadows at all of the sites, except Apollo 11. Astronaut Buzz Aldrin reported that the flag was blown over by the exhaust from the ascent engine during liftoff of Apollo 11, and it looks like he was correct! The most convincing way to see that the flags are still there, is to view a time series of LROC images taken at different times of day, and watch the shadow circle the flag (see movie below; the flag is just above the LM descent stage). Some of the images from the Apollo landings are stunning — and for real!